Braun, what are you doing? 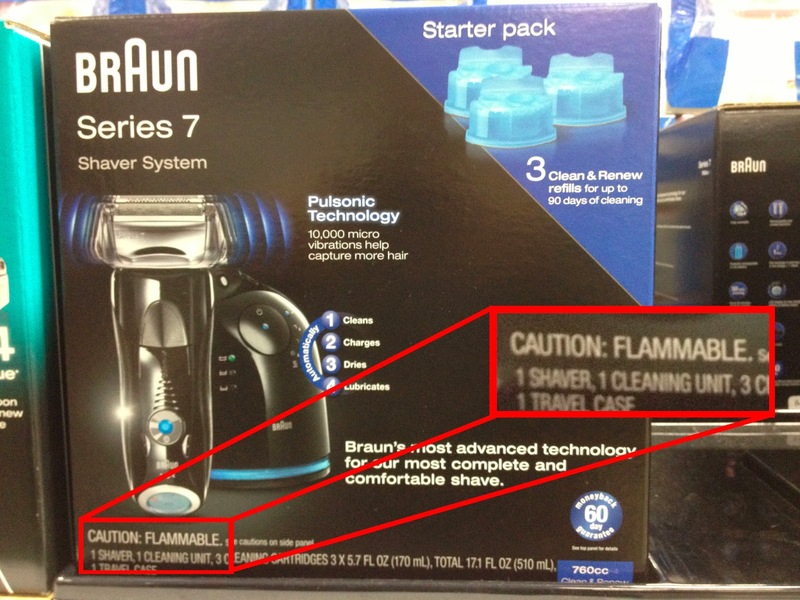 How can a self-cleaning waterproof shaver be flammable? Is it … is it the cleaner? Is that flammable? Like just an alcohol base? Or is it powered by a battery of raw, unshielded lithium that, if punctured and released into the environment, would instantly combust upon contact with water, a common bathroom phenomenon? If the latter, I would suggest "combustible" as a more accurate term. Or maybe, just maybe it's worse. What if the shaver itself were somehow … unstable? 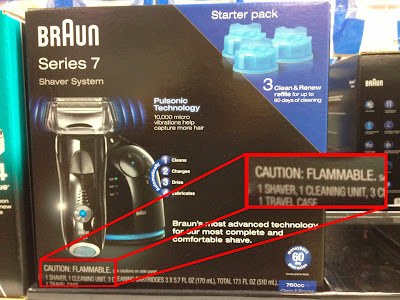 Quickly, everyone, test your Braun power shavers. Do they appear to be made of some otherworldly matter or phase in-and-out of reality when plugged in? Does the constant renewal of the blades appear a parlor trick? Perhaps covering for the truly ageless nature of titanium buzzers from before the dawn of our own universe, from whatever it was that came before time itself held meaning? If so, I would recommend you find yourself a ninety year old Italian or possibly Armenian man to use a straight razor on you and just call it a day.